As the development of the rescue boat shows a open boat that gives you flotation is not enough (you would die from overexposion to the sun or get trown over by storms. 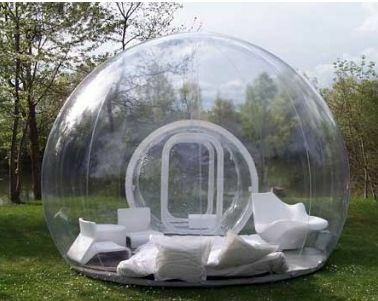 So the kind of living space the manufacturers ended up with, is a kind of all side closed "bubble" that protects people. 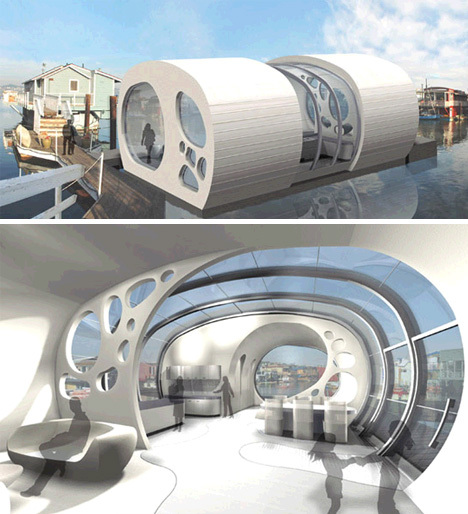 See more about the james bond rescue pod, the resue pod hotel and similar concepts. But this is doing 2 engineering tasks (platform building - and housing building) to perform a single task - "enclose the living space properly to make survival under any sea conditions possible". What if we go away from the "platform idea" and go to a "integrated enclosuse" that encloses the living space "bubble like" so we would think more of floating shells, domes, spheres, rounded shapes, to enclose our living space in a open ocean capable way. Once you think of a "living space bubble" more than a "platform" you might ask the question how high above the water or "how wave exposed" do i want the living space bubble to float ? Would not submerging, or partially submerging, the structure have big advatages in wave movements temperature control and position keeping - protecting it from the hostile ambient of the surface layer where athmosphere and ocean have their most violent interchange. How would living beneath the surface be? 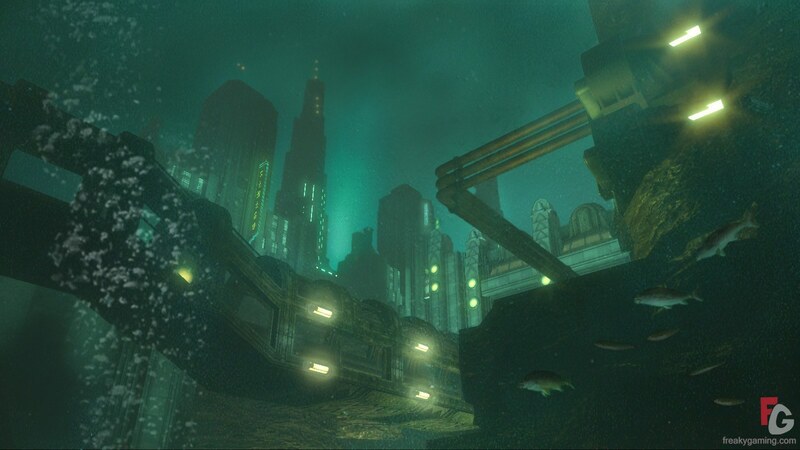 - has anybody analyzed those already existing structures that are basicly "spar designs with extended underwater part" where people live in the underwater part - not in the elevated platform. When reading the seasteading book if find submerged designes as "dismissed concept due to complication of holding a controlled depth and cost of building" - do we operate with the correct assumptions here? In our pilot projects we create submerged living space at a general cost of 331 Euro/ cubic meter which is below the average cubic meter real estate cost in Europe. Many structures that already exist have explored the concept of submerged living space. Among those the red seastar restaurant and the jordan submarine observatory. 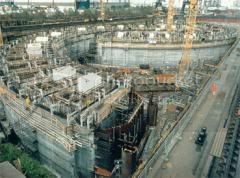 The making and float out of submarine tunnels, the Rion-Antirion bridge pylon, the Ekofisk storage tank, Troll, and similar structures have tested and refined the necessary engineering in big scale. Creating submerged bubble living space in the high seas is not only possible, economic feasible, it is potentially the most easy way to deal with wave hazards and seasteading real estate cost. 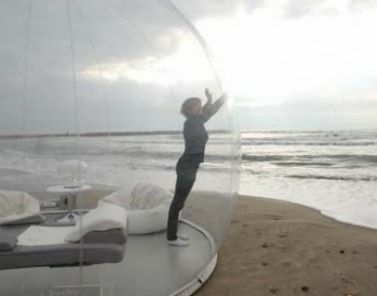 A small living space bubble like this one, can not be comfortable while staying on the ocean surface, as it tracks the wave movements - but it can be comfortable and safe if it is submerged a few meters. The bubble cluster concept allows building to any shape without the need of structural beams in a ongoing process - when new space is needed add a bubble dome. 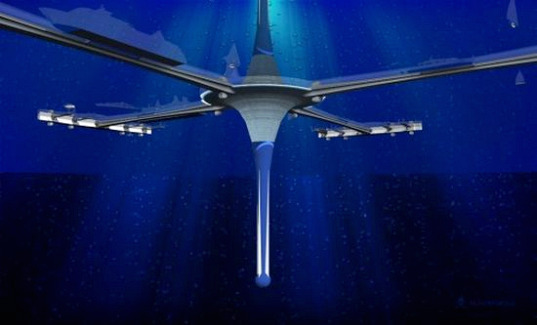 I would not see the structures above (seastar restaurant and jordan observatory) as a spar design also they look similar - in a typical spar the underwater part is not used for living - just to stabilize the platform. This means you have a lot of expensive structure to create a very small living space (suspended above the waves) so you get a incredibly bad cost per squaremeter what is not a big problem for oil industry but it IS for seasteading. All in all a LOT of good reasons to build a seastead in a similar (in part submerged) way. At the end seasteading burns down to a very basic engineering and real estate question - what is the most economic way to build a save living space bubble in the high seas ? can we compete with land based living space in the end? We should start to investigate all concepts that bring living space to the high seas and compare their real estate prices in cost per cubic meter. I am sure there will be no elevated platform concept among the winners. Maybe we should take the 3 best concepts and do some practical development from there. I am sure that concrete flat rafts and (part) submerged concrete shells are two of the winning concepts. Rion antirion bridge pylon (70m underwater 70m diameter of the disk it is hollow inside access by stairway ) the bridge is standing on the seaflor with no connection to allow moves in earthquakes. a 70 diameter disk is wider than the nkossa barge 50m (means much more stable) - so obviously open sea capeable on the surface and 70m submersible in spar mode. www.youtube.com/watch this is engineering directly appieable for surface floating seasteads and submerged seasteads. When talking about protection from wave damage we should have clear that one thing is being protected from wave hazard and sea sickening movements what happens inmediatly when you are submerged - and the other thing is how deep in the ocean you might notice the pass of big waves. 2) Hog and Sag, bending and torsion, forces which appear when a ship is supported by water (and bouyancy) at one end and in the air at the other end. Those forces can break a ship or lead to fatigue. They make a ship stamp and roll. If you leave the math and wave amplitude thing apart, you can easyly understand that neither wave crests nor hog and sag can exist anymore as soon as you have a thin water layer closing above you, even when this layer is just a foot deep. The structure will be supported uniformly by water at its whole length and this uniform support leads inmediatly to a much calmer behavior. This is what a diver experiences when he jumps from a rocking surface boat - there is inmediatly this incredible calm uniformly supported floating status when you go below the surface it dos not start gradually dozends of meters down - it is just below the surface. No wave is HITTING you anymore no wave is pushing you and your equpment around as it is the case when you swim on the surface. The only thing you experience below is a kind of current that changes direction with every wave. So you can "percieve the wave movement" when you have a visual reference to the sea bottom. If you don`t have this visual reference you will not notice the movement. I know a lot of divers that are suceptible to seasickness in a rolling diveboat and they are always the first to jump overboard - once you are below seasickness is gone. I experienced this in extreme form at Malpelo Island which is a island in the pacific 500 km off the coast of Colombia between Cocos and Galapagos - you have those real big pacific waves comming in directly towards a volcanic rock face. There is no doubt that any ship no matter the thickness of its steel plating would be hacked to small pieces within minutes. The divers jump overboard far from the rocks and swimm below the surface directly towards this rockfaces - this is where all those beautiful fishes are. You hang there 1-2m below the "hackzone" relaxed enjoy the smooth waiven of the waves comming in, you can feel the real big suckers in your ears, as the waterdepth changes while the crest goes trough. It is a wonderful place to mediate about the fact why nature never developed a surface swimming animal for the open sea - maybe living below is just so much better. The other experience i can contribute is the experience i had with the submarine yacht prototype - while i had the sub on its anchorplace and was tooling around inside i closed the hatch to avoid questions from courious visitors - i was there for an hour or so and when i opened the hatch i noticed that a storm had come up, several trees felt down, sailing yachts in the 30 foot range where calling SOS, and the local rescue crew was busy to assist. - I did not even notice the storm. And the hull was still on the surface exposing the sail (tower) and the central rounded part of the hull a bit above the surface. Obviously this did not present enough wave and weather attack surface to make the hull rock and roll. The difference between being hit by the waves on the surface and being supported completly by liquid is paramount - this is why whales have structural weak bodies compared to a ship, they can live with a lot less structure. Modern shipbuilding is including ballast tanks into the design to deepload the vessel when necessary to avoid excessive bending in the violent surface layer and get a more uniform hull support. The question how deep is deep enough is most of all a practical question - i would say a few feet is enough for leaving your coffee cup on the table in 99% of the sea states you will experience, 10m will be enough for leaving the coffee cup on the table in the perfect storm. What means that there is no need to go beyond a depth where a decent snorkel is still possible. I know that there are people theroizizing that big waves reach deep down in the ocean - the point is theirs hazardous and seasickening action depends on intermittent air/iquid contacts with the hull - and those are gone inmediatly below the surface. What is left below is waiven that does no harm and no seasickness - any diver can tell you that. The question how big is the pressure pulse when a wave passes over you is interesting. The worst thing i have ever heared is a report from submarine Albacore running trough a hurricane. The man on the pressure gauge reported 16m pressure difference. The problem is we do not know which percentage of that was caused by the (widley documented) instability of the first albacore type sub hulls for holding a constant depth and which percentage was really caused by the waves. It is a fact that in a violent storm a big surface ship can experience a situation where the bow goes under and becomes "submarine" for a short period of time while the wave passes. If the wave is extremly big and steep the bow can "go several meters deep like a submarine" which can build up sufficient pressure to reach crush depth of the hull which is less than 10m for most surface ships and especially for the weak hatch covers of bulk carriers. The unexpected sudden loss of the Bulk carrier M.V Derbyshire in a cyclon might have been caused by this phenomena. Therefore it seems prudent to design anything that will have to go trough hurricanes with the ability to take at least short periods of submerged status down to 10m or more even if it is a "surface ship". This is a design goal hard to achive for a surface ship. On the other hand a round concrete hull is good for submerging down to 1400m - so the pressure hazard of waves passing which may sum to a few meter in extreme cases will not cause any headache. Therefore i like the term "living space bubble" it suggests something round with a inherent capacity to submerge a few meters and hold the water pressure in this depth - which can be defined as "design need in violent storms". A bulk carrier going submarine video ( bulk carrier going submarine in a violent storm ) a ship can avoid that conditions by speed and weather forecast - a seastead is better off to be prepared for it. If you look at the poor ship in that video - it gets the worst of all worlds. Direct hits of massive water by wave crests, hog and sag forces, and in occasion the waterpressure of being submerged several meters on the hatch covers. How far better would it be submerged. Of course this is not a design option for a ship designer as ships are designed for quick load unload operation in ports and to fit into the worldwide port and marine transport infrastructure. 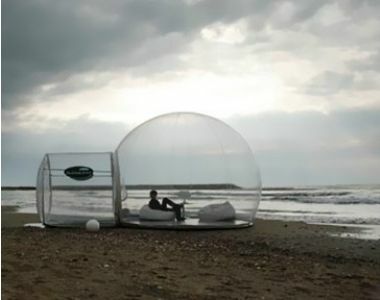 But a seastead can be designed without this kind of considerations we CAN design "living space bubbles" - a ship designer can not. There are hundreds of giant holow concrete structures like bridge pylons, underwater tunnels, oilrig legs, working in depths of hundreds of meters maintaining 1 atm interior pressure as we speak already. An ocean implosion test was conducted on a pressure-resistant concrete cylindrical structure to obtain the depth at implosion. 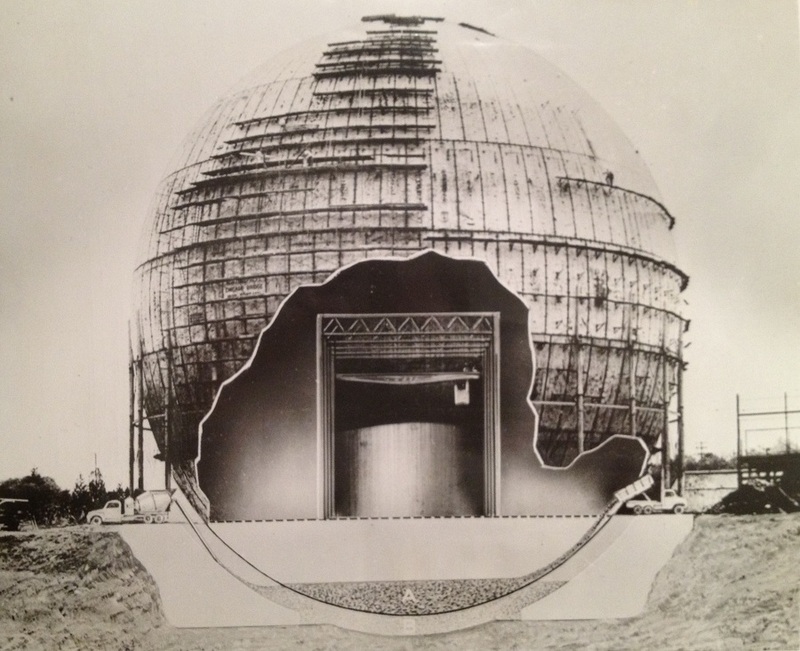 The structure was a reinforced concrete cylinder with hemispherical end caps, twenty feet (6.1 m) in overall length, ten feet (3.05 m) in outside diameter, and 9.5 inches (241 mm) in wall thickness. The structure was near-neutrally buoyant having a positive buoyancy of 12,000 pounds (5.4 Mg) for a hull displacement of 85,000 pounds (38.5 Mg). The implosion depth of the cylinder was 4700 feet (1430 m). A predicted implosion depth, using an empirical design equation based upon past test results, was 16 percent less than the actual implosion depth. A pressure-resistant, reinforced concrete hull was constructed in 1971 as part of a Seafloor Construction Experiment, SEACON I. The structure was placed on the seafloor at a depth of 600 feet (180 m) for 10 months. Figure 1 shows the SEACON I hull prior to its ocean emplacement. Since its retrieval in 1972, it has been located in the open air about 150 ft. (50 m) from the ocean. In the summer of 1976, the structure was returned to the ocean for an ultimate load test, that is, the structure was lowered into the ocean until implosion. 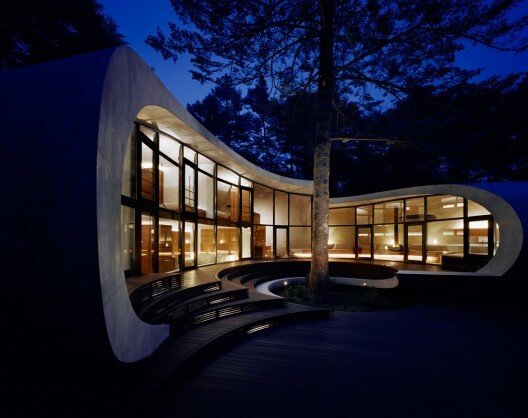 The cylindrical structure was assembled from three precast, reinforced concrete sections. The straight cylinder section, 10.1 feet (3080 mm) in outside diameter by 10 feet (3050 mm) in length by 9.5 inches (241 mm) in wall thickness, was fabricated by United Concrete Pipe Corporation. The concrete hemisphere end-closures, 10.1 feet (3080 mm) in outside diameter by 9.5 inches (241 mm) in wall thickness, were fabricated in-house. Tolerances on the sections conformed to concrete pipe standards of not to exceed to ±0.75 inch (19 mm) for the inside diameter or minus 0.5 inch (13 mm) for the wall thickness. 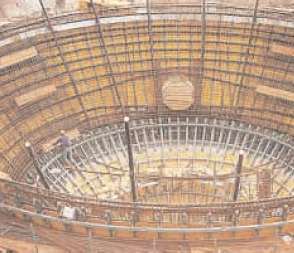 Steel reinforcement in the amount of 0.70% by area was used in both the axial and hoop direction. Reinforcing bars of 0.6 inch (15 mm) diameter were employed throughout the structure. 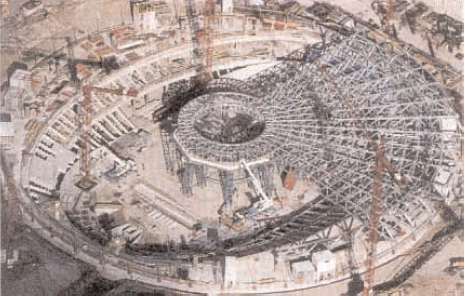 A double circular reinforcement cage was fabricated for each precast section; the concrete cover on the outside and inside reinforcing cage was 1 inch (25 mm). For the cylinder section, hoop rebars had a spacing of 27.25 inches (692 nm) and 31.25 inches (794 mm) for the inside and outside cages respectively. The hemispherical end-closures were bonded to the cylinder section with an epoxy adhesive, no other attachment besides the epoxy bond was employed (Figure 2). The gap between the mating surfaces of the hemisphere and the cylinder was less than 0.13 inch (3 mm) for 75% of the contact area. Prior to epoxy bonding, the concrete surfaces were prepared by sandblasting and washing with acetone. In other words if you build a bubble that floats deeploaded in cylinder, blimp, donut, sphere, and any other shape that burns down to a non buckling compression arch as basic structural element you can dive it below 1000m . A seastead bubble hanging out at a few meters on a snorkel should not be a problem not even if the century storm pressure spikes it with 10m. Living under water some love it some hate it - just like flying. I know....The nightmare of drowning in a sub - but if you see it reasonable - no existing structure gives you a real chance of escape in case of failure - how fast can you run when the bridge you are crossing is falling down? - what stairway do you take when the columns of a building fail? - the idea of escaping from a failing structure is pure illusion. If a submarine hull fails you will not even drown miserably - you get instantly killed by the implosion. True is that for people that are borderline sub-phobic a flat raft will be a easier acceptable solution. Although the real danger might be higher due to wave and weather impact. It is like in transport some people hate flying and go by car they feel safer this way it is a question of perception not of objective safety. Title : Long-Term, Deep Ocean Test of Concrete Spherical Structures - Results after 13 Years. Personal Author(s) : Rail,R. D. ; Wendt,R. L.
Descriptors : *CONCRETE, *STRENGTH(MECHANICS), *UNDERWATER STRUCTURES, *DEEP OCEANS, THICKNESS, PERMEABILITY, LABORATORY TESTS, CORROSION, TIME DEPENDENCE, FAILURE, HIGH PRESSURE, SPHERES, DEPTH, STEEL, SHORT RANGE(TIME), COATINGS, STRENGTH(GENERAL), GAIN, INSPECTION, WALLS, FLOW, OCEANS, DETERIORATION, SEA WATER, LOW RATE, OCEAN BOTTOM, REINFORCING MATERIALS, COMPRESSIVE PROPERTIES, WATERPROOFING, SUBMERSIBLES, IMPLOSIONS. ...I've seen too much spalling from rebar rusting out of concrete here along the coast to feel comfortable with it, so I prefer glass fiber to steel reinforcement. Fiber is also much less labor intensive to cast into shapes. Yes, i have seen that a lot too. What happens is that this concrete was poorly executed in first place - you can not see it at the moment of pour - but you see it a few months after. The rebar rusts and increases its volume 4 times in the process, this rips the piece apart. The good thing is there is no "hidden failure mode" the failure is clearly visibe at plain sight. So when your "concrete" looks good after a few months it IS good and will stay good for 200 years. If it looks bad and spalling after a few months it was no "concrete" in the sense of civil engineering in first place you probably produced something like wet sand with insufficient cement/water ratios crowned by a insufficient curing process. The worst attack happens not where the piece is in the seawater it happens where the material gets wet and dry out frequently they call it "splash zone". So when you look at concrete in costal zones you are probably looking pertty much at the worst case that can happen (amateurs mixing low quality coastal defenses for the spash zone). You should have a look at barges built in WW1 and 2 - which are harder and stronger today than they where when built (concrete increases strength over time) and where the steel is so perfectly conserved after 70 years of uninterupted seawater contact that you can still read the original mill stamp. people will not do it until somebody else does it, so they can see how it works. We can not expect the average guy to have a "realistic perception" of a lifestyle while the only "role model" that exists are u-boat movies where always somebody gets drowned under dramatic claustrophobic circumstances. This is how society works - only a few are comfortable with "pioneering" the mainstream is always waiting how it goes before following. When Hans Hass dived with sharks in the late fifties it was seen as a suicidal sport of a individual driven by a deathwish. Today scuba diving with the occacional reef shark is relaxed mainstreem tourism - it is not the real dangers that changed - what changed is public perception about it driven by the numbers of people who do it. We can not expect anything else than "almost paranoid danger perception from the average guy" until we make it mainstream. "Adressing the emotional danger perception issues" can lead to solutions like the one in England when "horseless explosion driven cars" was invented - for security reasons a man with a red flag had to run in front of the car to warn the public of the aproaching danger... we do not say that cars are without danger today but we try to adress things a bit different and see the "danger perception" with a smile. The idea of a unsinkable chambered structure is feasible when you can include more than 20 chambers so that limits the concept somewhat. The parallel to subterranean structures is a good one. Practice shows that emergencies like fire must be handled different in subterranean structures than in surface buildings. I think the latest trend is not "a always open escape route that can be taken obstacle free by a mass in panic" but a vent sistem that can handle the toxic gases and safe rooms for the people. For a submarine seastead closed 1atm escape pods would be great - but they might turn out "not feasible" just like ejection seats (usual safety feature in military jets) could not be realized in passenger airliners. So in general beware to posulate safety features from one solution to another - what is possible for a yacht - might be impossible for a cruiseship - what is possible for a cruiseship might be impossible for a seastead - what is possible on surface might be impossible subterranean or submerged, in any case any solution can be safe in its own special way - without reproducing safety features that are usual somewhere else. We are probably going a wrong track when orienting things on the "wanted safety features of the borderline phobic" - we would end with a ejection seat for every passenger in a boeing 474 and this solution would be a safety hazard in itself. What is needed is the correct balance of possible engineering and a realistic perception of dangers, and this will only come with implementation. So best we can do is get a pioneer and implement to pave the road that safety oriented minds will follow when it can be percieved as mainstream safe and widley tested .. .
Insurance statistics says that the most dangerous item on board resposible for most yacht sinkins is the toilet valve...not sharks reefs and hurricanes - what a difference in perception and reality. I agree that the scycologic factor is the most important argument against submerged structures. 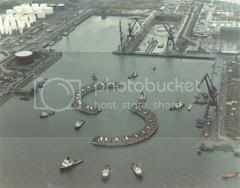 A plate shape stadion seastead with the feel of being on surface and the sky all over you althoug you live technically below the waterline (like in netherlands) migh be a starting point for people that do not like the idea of being submerged. Those who have absolute no problem with submerged might go for radical new ambients like the submerged restaurant below or the architecture of modern aquariums with their acrylic tunnels. 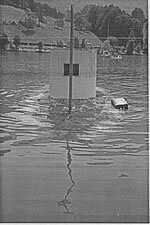 Nasa did a couple of confinement experiments to test out if people can scycologicly stand the idea of living in space in a small living space bubble - one of those was performed in a similar ambient on earth (the ocean) it was the BEN FRANKLIN drift dive experiment in cooperation with Piccard and Grumman. During this experiment a crew of 4 was confined during a month in submarine living space of only 130 cubic meter drifting 2000 miles from florida to mid atlantic submerged at 200m waterdepth with no surface connection at all. We can consider this the submerged seastead "worst case szenario" - according to the crew all went well no big collision with "human nature" - very doable at the end. So the engineering and human base for fully submerged cities is layed since the early sixties. On the other hand the plate seastead would allow to live below the waterline without even noticing it - just like all dutch people are already living "below the waterline" in their country without the cities being any different from cities living above waterline - except the fact that they need to keep the sea out with a "dike" that goes around the country which has 50% of its living space several meters below the north sea waterline. We already know form a wide range of engineering applications how high the "dike" around a "plate seastead" must be to keep the sea safely out of the plate depression (around 16m high) which is very doable. So the concept of a submerged living space does not necessarily need a change in lifestyle or a adaption in human nature. We can embrace the submerged status (like Ben Franklin) or make it completly unperceptible (like the dutch ) - and we can do anything between. What if we start with a plate (stadion) seastead and load it deeper by building it higher up over time (like the rion-antirion bridge pylon) - so people can get used to it. We may end up with a semisubmerged skyscrapper or a sea orbiter where people can live below or above the sea level depending on their preference. Such structures already do exist as underwater observatory in the red sea. And the rion-antirion bridge pylon solved the engineering. 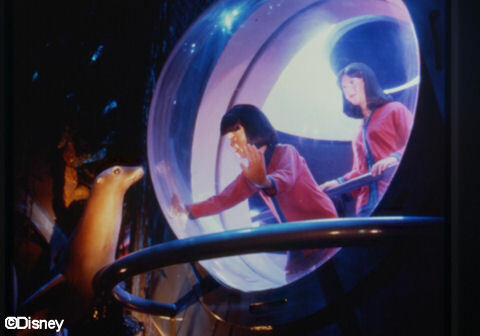 Those confinement experiments in submarine living space bubbles where designed to test out the absolute extremes of the case. I doubth like you, that there will be a lot of people that voluntaryly adopt submarine confinement as a desireable syle of living. It may be one out of hundred who really would like to live disconnected from the surface, producing oxigen from the seawater wandering submerged and seperated from mankind trough the worlds oceans captain nemo style. The typical owner would handle a submersible living space bubble habitat (i avoid the word submarine due to the misleading coffin perception) as a simple yacht that is in almost all of its aspects a yacht, just absolute storm safe, seasickness free, burglar safe, and maintenance cost free. Like other yachties you would not be the whole day enclosed inside your boat. You would form part of a yachtie community anchored in the bay of a caribbean island. In the morning you would row over to the beach meet with people from the other boats, have a beach grill, a coconut, a island adventure - you would only return to your boat to have a pleaseant night sleep in a king size bed and a freshwater shower. There are differences in lifestyle to other yachties. For example when you leave your boat in the morning (all of your family - nobody wants to stay and watch the family home) you just close the hatch - so your living space becomes absolute burglar safe. The other yachties always live a bit preocupied about their boat, is somebody breaking in to steal your nav equipment?, is the weather on the anchorplace changing smashing the boat against the reef?, - so they tend to live "in sight" of the boat. You on the other hand, when get an offer for this dream on week trip - take it - when you return you will find your stuff well protected inside your living space bubble - just exactly as you left it there - breaking in trough a hatch is like breaking into a banksafe - nobody can deploy the necessary (heavy industrial) tools on a anchorplace. Another situation where your life is really different to a yachtie is when you are together with several sailing and motor yachts anchored in front of this pristine beach of a unhabitated island. Somebody has a radio and spreads the news that tropical cyclon Bertha category 4 is closing in. Now it becomes clear why this beautiful island was uninhabitated in first place - no save harbor miles around. Some yachts rush out into the dark of the night to make it by the speed of their expensive engines to the next safe spot - just to find that it is cramped with poorly anchored industrial barges that tend to come loose in a storm and grind everything in their way to pieces. Smaller yachts send the kids for the nearest hotel to be safe and go for the mangroves to bring out several lines to the trunks and fight it out. They can make it as long as the storm surge is moderate. You on the other hand just close your hatch drink a coffee watch TV - no need to leave the anchor place. If things become bumpy flood your ballast tanks and lay your bubble some 5m down on the sandy lagoon bottom until the storm has passed over you. You and your family are safe as in a underground bunker. You could take advantage of the **** weather and the sudden absence of all your yachtie friends and make a few miles to visit the next spot. You sail out directly into the storm - trim your living space bubble at snorkel depth - you leave the coffee cup on the table, you watch the weather the sea and ship traffic with your snorkel top camara - but your comfort is not affected by the storm. Your live will also be a bit different when aproaching a cramped marina with no space for "another boat" - you will always be the "most exotic boat" that draws the attention and marina owners will love to asign you a nice place to stay - maybe for free. While it may be difficult to have privacy in a cramped marina on a surface boat - you close your hatch and you have it. 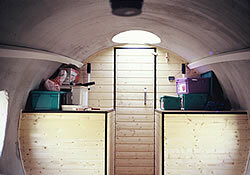 Your living space bubble will also be different in terms of aircon, comfort electrics, and loading capacity. For example a yacht in the caribbean can spend dozends of dollars a day in aircon to make the climate below a sun heated deck just bearable. The seawater around your hull maintains the inside at 22 degee with no aircon need. Yacht owners sometimes go crazy with the vibrations and noise of the small generator that keeps the battery and freezer alive. Noise dampening and vibration is most of all a function of bulkhead weight - bad news for "leight weight yacht outfitting" - you have your generator behind 20cm concrete - complete silence guaranteed. Yachties are always short of loading capacity for freshwater food, tools, equipment. You on the other hand have dozends of tons loading capacity this gives you not only the freedom of a much longer range compared with similar sized surface yachts - it also allows you to make a living as a trader - moving cold beer in hotel quantity to remote locations. The only commercial yacht sub offer is from US submarines with 78 Million USD for a 1500 ton boat (means 52.000 USD per cubic meter living space) so the price is part of the reason. The other part is boaters are conservative - if you have followed the decade long discussion of monohull versus catamaran you see that it took the yacht market about 3 decades to accept catamaran hulls. So i expect if we bring out the first sub-yachts now it will take some 3 decades at least to make them a " widley accepted popular choice" - despite of their obvious advantages. Ports that are made for sailing yachts and their deep ballast keels will also be deep enough for yacht subs. People who like wind and weather in the face exist, but are not mainstream in the yachtie szene. Most people want to use a yacht as a comfortable houseboat. The amount of windows can be whatever the owner wants. Thick cast acrylics is expensive when designed for great dive depths. In general a sub hull of 18m with 8 windows gets more light inside than a standard yacht. Our hulls have a general cost frame of 331 Euro/cubic meter - so this is much more economic than most yacht hulls. They are designed to stay in the water for 200 years without maintenance. 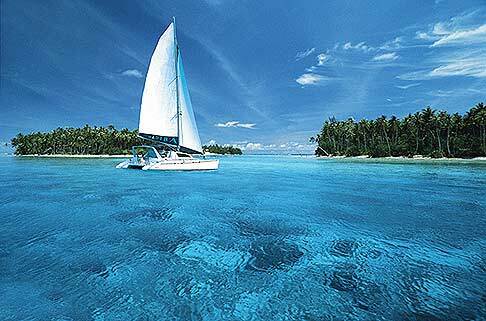 Travel costs are driven by the fuel costs i estimate fuel and propulsion cost 5 times lower than a comparable yacht. Due to the benefits of absence of wave resistance and a generally by far smaller engine necessary. The whale model suggest that a 50 horsepower engine is sufficient for a 20m sub yacht. The sweet spot of speed for (part) submerged economic long distance ocean cruising is in the range of the cruising speed of a whale 5-7 knots studies of whale energetics suggest that a 200 ton whale uses some 50 HP for locomotion and body functions. So we will be fine with a car sized engine in a sub habitat of 200 tons covering both locomotion and consumer electrics. This is a ridiculous small engine for a 200 ton surface boat (a 600 HP engine would be recommended for a motor sailer) - you would never get the bow into the wind in a storm - for a submerged living space bubble it works just fine. We will optimize the propeller for 5-7 knots. ...What concerns the minimum energy requirements for locomotion of a streamlined submerged living space bubble it is not either or. When i brought the 20 ton prototype to water in the early neighties i was interested in the question " how low can you go?" . So i put in a ridiculous small electric engine of only 200 W and found that this engine moved the hull just fine in any storm so i never saw a need to go with a bigger engine. On the other hand always when i talk with naval engineers about motorizing a 20t boat with 200W they almost fall from the chair - 3 HP per ton is seen as "required for safety reasons to bring bow into the wind" even on a small motor sailer. So what i can say is, that it is obvious for me that the requirements for submerged/deeploaded hulls and surface boat concepts are obviously VERY VERY different. My current recommendation is to keep the engine in the range of the whale model 50HP for a 200 ton body. This is a design that is widley approved by nature. On the other hand it looks very feasible to me to go even much lower - for example to the "sleeper shark" model that handles locomotion energy several times lower than a high energy mammal like a whale. In any case you will not find a lot of diesel engines below 50HP on the market, so the point is you get the smallest diesel generator you can find use it for comfort electrics and "the rest" is just fine for locomotion at a few knots at whale cruising speed. A 200 ton whale can produce some 400HP in emergency mode for a minute - this pushes the body to speeds of up to 30 knots. 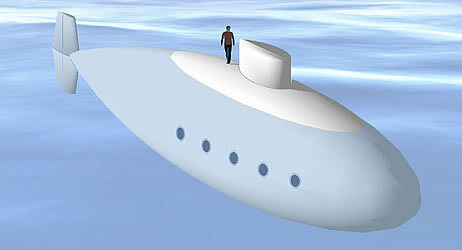 So a sub can be both a extremly economic long range boat or a fast boat compared to a surface yacht of the same size. It depends on the engine range you choose. I am not a big fan of sending out a whole population of a city in inflatable floats on the open ocean in a hundred year storm - just remember the past evacuations of cities (New Orleans) and its practical application. People will always tend to stay in their houses. 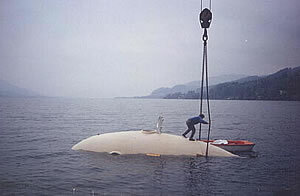 Also as the example of the fastnet race shows many of those floating out in inflatable rafts drowned although the yacht hull was found later without mast and keel but still floating. 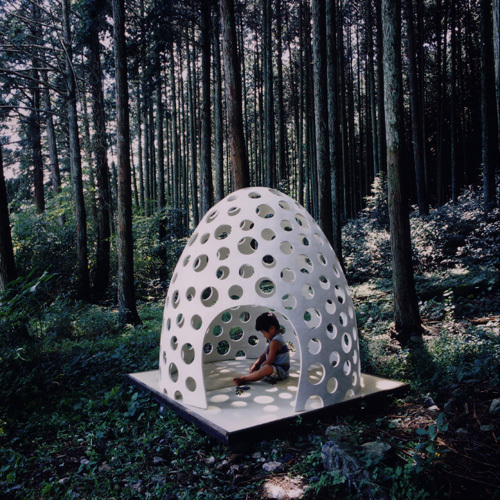 So why not think in a concept where the living space shell IS the rescue float and the safe room. As you mentioned the dome shell house - make it a "bubble house" that can float for itself if necessary - even riped apart from a destroyed seastead - It would be like ants, living in a foam block, the living space bubbles would break apart just to stay afloat on their own. You would have to make a couple of adaptions to your living space enclosure - windows like the egg shell - (small to take wave hits but you can have a LOT of them for a well lighed interior), a watertight entrance door. The dome house is "almost there" and it is NOT a expensive living space. A plate seastead poblated with buoyant bubble houses would be a extremly safe seastead the rion-antirion pylon solved the engineering on large scale. Maybe a little more ship shaped for mobility. How deeploaded would you go - just a plate or a submerged skyscrapper? The question is - once you go for a living space bubble for security reasons - why not scale down the seastead structure and go for a breakwater or a lagoon seastead where independent floating units (boats, houseboats, subs, floating living space of all kind) can have a "loose raft up" in open sea. ... seasteads should take advantage of the horizontal space the ocean offers for free. So no highrise and no "deeprise" building is really required. Water transport has always been a key factor in industrial development but it becomes increasingly important with globalization - factories already do follow the markets around the globe. At the moment they get built and dismantled in one country and built up again in another country. Your point that a seastead is the ONLY way to move your factory to Japan without even interupting the production is a MAYOR argument for seasteading. SAB-Miller is already considering floating factories to follow recources and markets. A seastead could be a factory a load terminal, a container port, a drydock, and a free trade zone, all in one handy package. This is basicly where the oil/gas industry is going to - when the whole platform goes to hell - a life raft, a boat, is just not enough - they have completly enclosed living space bubbles that can take a direct wave hit, a drop from dozends of meters, a ride trough a oil patch on fire, submerged status, weeks of isolated drifting at sea - what ever the emergency situation may be - the last resource is always a bunker like bubble. So why not install your home in such a safe bubble in first place . In the Netherlands a company offers a hotel stay in a "rescue pod hotel" - so "living in the pod" is not so exotic and out of normal after all - many people actually do it already. Alternative energy sources are much easier to get for small energy needs. So the living space bubble concept with its low propulsion energy need can open a door to experiment with alternative energy sources that would not be able to satisfy the need of hundreds of horsepower of a classic yacht. I was thinking in current turbine solutions, pelamis wave generators, and similar sistems that extract the needed energy directly from the ocean. I would not dismiss diesel as energy source - we could filter plankton or grow algea and convert them to biodiesel. Stirling Engines could work with a wide range of different energy sources. 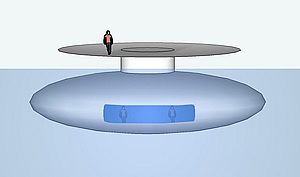 Basicly a family living in a semi/submerged living space bubble would consume less energy in comfort electrics than a average US household (no aircon need) and would need very little energy for cruising (similar to the whale model) - there would be no need to have oversized engines for safety reasons. So a microturbine or fuel cell solution could do the job completly and efficiently. When we look for role models for bubble living space that can create comfort in the open ocean without the need of giant expensive platforms, we might be inspired by solutions that already exist as "exotic hotel" - below a futuristic snorkel seastead, a underwater hotel, underwater restaurant, massage room in the maledives, utter inn submerged hotel room and platform, survival pod hotel, igloo hotel. These bright orange mod pods anchored in The Hague were part of an art project before being capitalized on as adventurous getaway. Packages range from basic survival with a sleeping bag and food rations to something a bit more James Bond-esque. The Hotel Kakslauttanen in Finland is in fact an Igloo Village, at which you can have your pick of 20 unique glass and snow igloos for your stay. They aren’t ice houses, but 31 well-maintained log cabins – built from a very special thermo glass that keeps them warmth and comfortable. Because of that, the temperature inside the Igloos is always a normal room temperature and the igloos inhabitants won’t feel any of the polar cold. As you see a diner plate of any size is a rigid structure (shell structure) that can be made thin walled and still hold a surprising amount of force. Plate shapes have been performed in concrete and floated out in industrial scale with diameters up to 70m. The engineering of building them and floating them out is "of the shelf". The building cost and technique is compareable to other civil engineering projects - so is their cost in squaremeter of living space. Slight variations like ring breakwater floating plates has also been successfully performed on industrial scale. 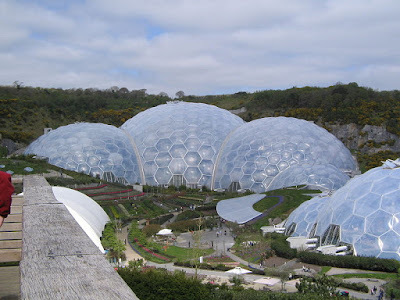 Houston dome, Eden project, ... they go with (ETFE) foil in aluminum frames - if this kind of bubble living space is strong enough to take a direct wave hit or submerge is doubthful so it might work as the cover of a big plate seastead where direct wave hits to the fragile transparent structure can be excluded. The picture in the middle above does not look like if direct wave hits to the transparent part can be excluded. Acrylics is a high strength material that can take direct wave hits but acrylic domes are limited to a 6 foot diameter size and single panels of a few meter are the (expensive) stars of top aquariums - no way to do them in Building size nor city size. A 6 foot acrylic dome can easyly cost 150.000 USD ... a panel like the picture above a million... seasteading will only happen if real estate costs in squaremeter floorspace are similar to land based real estate prices - this excludes the abundant use of exotic building materials and quantum leap engineering in a seastead very much. 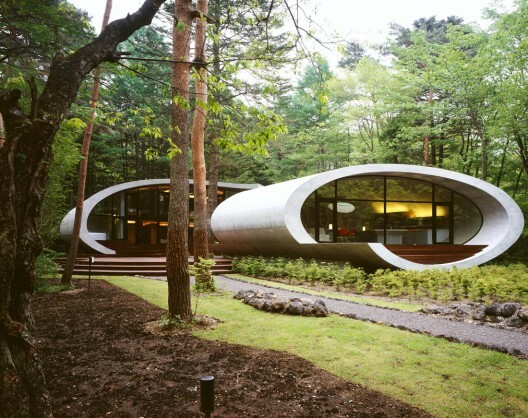 So i fear we have to limit things to concrete shells for practical reasons... - what does not mean that the feel and style of such living space bubbles can not be light, futuristic and wave hit resistent at the same time. Glass has been used as pressure cover for oceanographic gear, as buoy for netting in the fishing industry. As bottle message for centuries - so it has a long record for surviving at sea in small structures - big marine structures made of glass has not yet been performed (i assume due to building cost). 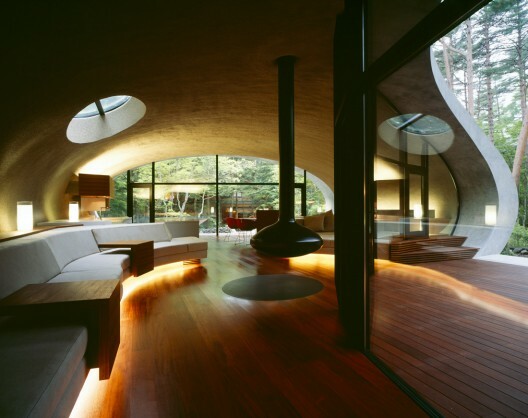 Combine concrete shell and glass to get the best of both worlds protection and transparency can be definitly an option. combine a open ocean aquaculture sistem with a submerged living space for comfort at sea - you get a business and a fine way to run it. ..."how do you connect submerged living space bubbles.."
I repost the link here because it is part of the "submerged living space bubble" thread but popped up on the "artwork thread"
conclusion - there are existing engineering solutions like REMORA rescue sistem and segmented submerged tunnel construction - so it is basicly "off the shelf engineering". This means that scalability is still possible if a seasteading structure is submerged. If you check the details it is eaven easier to connect a thousand ton segment to a segmented submerged tunnel than a thousand ton hollow segment to a structure on land. Water allows a much better handling. it is a failure in the "thought model" to assume that just because you install your private space in a hull with the capacity to submerge you are kind of obligated to live without surface contact - doing everything submerged. You still might opt to NOT submerge except in a 100 year storm where you will probably opt to do so for survival reasons. 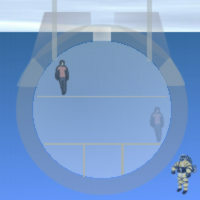 A submersible living space bubble habitat blends nicely into the existing yacht ambients and can use all the existing infrastructure it is up to the owner if he preferes the life of a "normal yachtie" or of "captain nemo" both lifestyles are at hand ther is no "meet up limit" - on contrary - the remora and marmay tunnel connection will still work in a hundred year storm in open sea when surface floating structures must break up any kind of "gangway" between them. Although we mght have underwater cities connected with underwater tunnels in a future - the first submerged living spaces will be mobile and operate in a normal yacht ambient more or less this way : living in a submerged bubble other than yachts that minimize ocean activites and maximize marina stay for comfort reasons, mobile submerged living space bubbles would extend gradually their activity spectrum to the open ocean as the comfort difference ocean/marina for the crew is minimal. It is just like settlement in the great plains - once you have a waggon (which is a technical solution for average joe to do so) and a reason to go for it (land, gold, oil, fish, mining) - settlement starts gradually beginning on the boarders extending farer out over time. We are currently open for discussing projects for submerged bubble living space. A solution designed to provide a living space that ensures the survival of humans in open water in all possible conditions on the smallest possible scale is this. The quality of "can take a wave overwash" is just another word for being able to stand short moments of being submerged. So the submersible option should not be considered a "exotic option" any longer in the post draupner wave area. It should be considered the "only safe and viable" option for ocean colonization for all structures with less then 18m freeboard. Ships and Yachts have a safety plus by being able to stay out of the path of a severe storm - but any "not sufficient mobile structure" needs to be prepared to be submerged - on purpose or by accident. DUBAI: Dubai is back in the spotlight for its out-of-the-box projects as Drydocks World revealed remarkable details of an underwater hotel to be built off the emirate's coast. 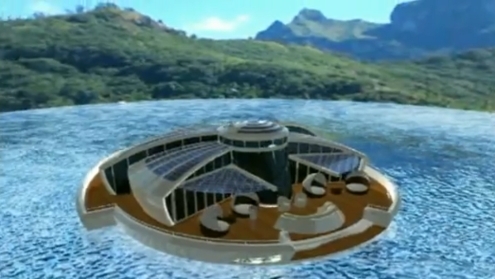 In a statement released on Wednesday, the company said it has signed an agreement with a Swiss company to develop the World Discus Hotel, a series of spaceship-shaped structures, part of which is a habitable area submerged under the sea. The announcement came just a month after Drydocks World filed for insolvency protection in Dubai and Singapore in a move to restructure its $2.2 billion debt. Drydocks World has unveiled a deal with BIG InvestConsult — which holds the technology rights to the project — to build an underwater hotel that looks like a series of massive discus plates joined by a network of undersea and above-water structures, including a helipad. "The structure… elevates marine leisure facility to new unprecedented functional level," the Swiss company stated on its website. BIG is in talks with other investors and said it will fund the hotel. "Drydocks and Maritime World is appointed as the exclusive main contractor for construction of the new concept hotels and cities floating in the Middle East," Drydocks said in a statement. Dubai is home to palm-shaped and world-map-shaped reclamation projects, the world's tallest tower, an indoor ski slope and the world's longest driverless metro. 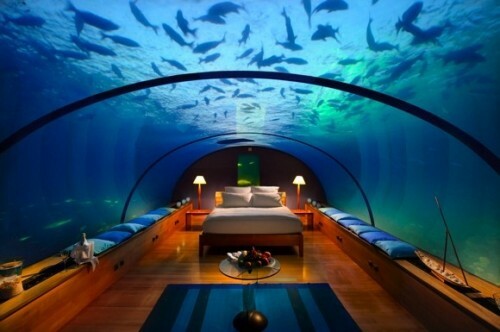 The Swiss firm said it aims build the underwater hotel off the coast of Dubai and Abu Dhabi. Khamis Juma Buamim, Chairman of Drydocks World, told media persons that the company will fabricate the structures using techniques similar to building oil rigs based on seven design types — each costing between $50 million and $120 million (Dh183.5 million and Dh440.4 million). The firms said two developments with five hotels attached to them are planned in the Middle East. It also aims to include a lab for marine environment research. Well in its nature this structure is quite off the shelf engineering - redoing what was already achieved by Troll a and the Rion - Antirion Bridge Pylon - a series of tubular concrete structures that connect disc shapes - also the size of the discs does not exceed the 70m disc of the Rion-Antirion Pylon - The acrylics configuration resembles what is "of the shelf" in most modern Aquariums. It could be an alien spacecraft or a 21st century version of Captain Nemo's Nautilus from Jules Verne "20,000 Leagues Under the Sea," but in fact it's a live-aboard, ocean-going laboratory that could be exploring the seas as soon as late next year, says CNN in a recent news report. 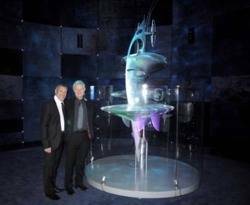 Called the SeaOrbiter , the research vessel is the concept of French architect Jacques Rougerie. Currently the centerpiece of France's pavilion at Expo 2012 in Yeosu, South Korea, it has spent almost 12 years floating around as a mere concept. It recently completed its industrial design phase and construction is slated for October this year. "All technical issues are resolved, all the modeling is done," says Ariel Fuchs, education and media director of the SeaOrbiter project. "We gathered institutional and industrial support five or six years ago and it's been a real institutional and financial project for the last two years." It is expected to cost around $43 million and when built, will be 58-meters in height, taller than Nelson's Column, a monument in London. When launched, around 50% of the vessel will be below the water line, allowing for constant underwater study, Fuchs says. "One of the first users will be the science community," he says. "It's designed to explore the ocean in a new way, mainly spending time under the sea, giving people the opportunity to live under the sea for a very long time, to observe, to undertake research missions, like marine biology, oceanography and climate issues." Here the enclosement of power plant. - Pretty much of the shelf concrete building technology. oceanic structures convert in oasis of live - this is already happening with oil rigs. Visiting Maldives for the beaches only??? 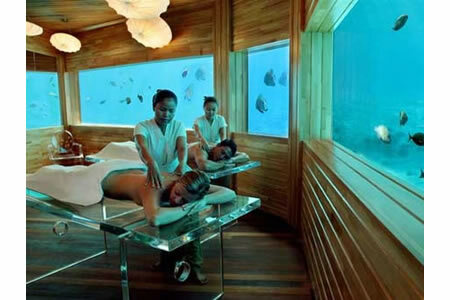 Maybe the World’s First Underwater restaurant, Ithaa could be another reason for the paranomic view of the Indian Ocean. The Ithaa Restaurant sits 15 feet below the waves of the Indian Ocean, surrounded by a coral reef and encased in clear acrylic, offering diners 270-degrees of panoramic underwater views. The first aquarium-style underwater restaurant was designed by MJ Murphy in New Zealand and constructed in Singapore with materials provided from the USA. The final design was later shipped to the Maldives. After spending a whopping $5 million on the infrastructure and interior designing, the restaurant was acquired by the world famous, Hilton Resorts. 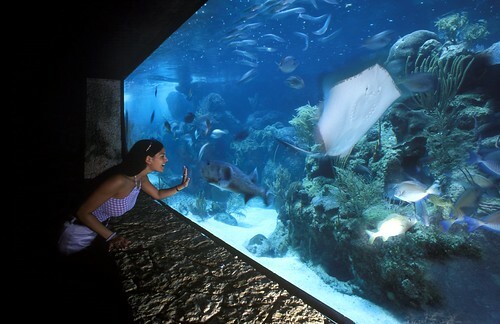 By adding this restaurant to the Hilton family, the public’s eyes were drawn towards this spectacle created underwater. It is estimated that the restaurant, which is placed in extreme conditions of the Indian Oceans, will only last for 20 years. 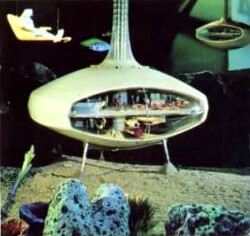 Several acrylic pods in a similar style as the underwater restaurant - assembled to a "exotic underwater hotel".